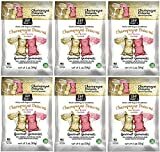 This Valentine's Day, skip the boring old chocolates and flowers and give your sweetheart something a little more fun, like these cool new Prosecco Flavored Gummy Bears. 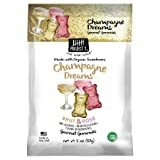 These tasty gummy bears are made from real Prosecco, a sparkling wine from Italy not to be confused by Champagne from France, and while free from alcohol, still make a romantic garnish in a bubbly flute of genuine Prosecco. 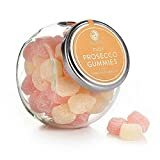 They come in a glass jar and don't even need to be place on ice.